Merry Christmas from Wii U Go! Wherever you are in the world, today’s a wonderful day you should spend with family and friends, enjoying your time together. Hopefully, you’ve woken up to find one of 2011’s many great video games under your tree, or perhaps a shiny new 3DS. 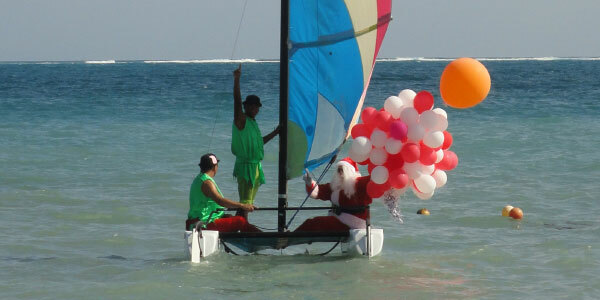 …Santa Claus on a catamaran. Yep, my year has been made. P.S. : Because my Internet access is limited here, and Ruthie and Wertville are probably celebrating the festivities themselves, we may be a bit slower than usual with Wii U news. Thank you for this Feld0. Merry Christmas to you and everyone on this site, enjoy your hard earned vacation. Merry Christmas, and a happy game year. Ah I’m a little late, but I hope you had a merry Christmas Feld0! I have been on this site since early this year, and I want to thank you for everything you have done.